An interview with Geoffrey Moore, author of "Dealing with Darwin: How Great Companies Innovate at Every Phase of their Evolution"
Innovation is valuable only if it helps a company attain economic advantage. Innovation in and of itself is valuable. Innovation becomes less necessary and possible as a product or service matures. The essence of innovation is the same in all companies. Vern Burkhardt (VB): In the natural world, Darwinism refers to survival of the fittest. You say that this principle in free-market economies necessitates that successful companies evolve their competence or become marginalized and lose their competitive position. "To innovate forever…is a design specification. It is not a strategy; it is a requirement." Would you talk about that basic requirement for survival? Geoffrey Moore: Competition is an ongoing condition, not a scheduled event. Competitors learn from past performances and find ways to neutralize prior advantages you may have had. If you do not evolve your own game to create new advantages, you end up being commoditized. This does not put you out of business. It just puts you at the mercy of the purchasing agent seeking the lowest price. VB: Would you talk about the concept of "return on innovation"? Geoffrey Moore: Innovation in and of itself has no value. It creates value when it results in either sustainable competitive advantage for you, neutralization of a competitor’s competitive advantage, or increased productivity within the status quo. By these standards, most innovations fail to create returns. They do make improvements, but not so great as to create sustainable competitive advantage. Customers are grateful for them but will not pay a premium to get them. As a result, the innovation budget is spent, but there is no economic return. Companies complain that they have to do this to stay in business. But the truth is, if all they want to do is make improvements but not create sustainable competitive advantage, they would succeed with much less focus on new features and functions. They could focus their innovation instead on productivity improvements. VB: You say leaders' focus and prioritization are key to achieving breakaway differentiation from competitors. Would you explain? Geoffrey Moore: Sustainable competitive advantage comes from doing things that customers value and that competitors either can't or won't emulate. Competitive sets share a common commitment to a whole raft of standards. Incremental improvements do not create separation from the set because they are easily neutralized. Only radical departures from the norm are sustainable, typically because competitors are unwilling rather than unable to copy them. To make such departures, management teams must align all functions to accentuate a given vector of innovation beyond anything the competition could readily neutralize. That takes intense focus and prioritization. It's definitely not the norm, which consists instead of peanut-buttering innovation investments across a multiplicity of vectors, none of which gets enough resources to create a sustainable separation from the competitive set. This is how management ensures it will not get a good return on innovation. VB: You identify two types of business architectures: complex systems and volume operations. You say a company's decision about which type to follow is a first step toward competitive differentiation. Would you talk about how competitive differentiation in the marketplace plays out for each of these two types? Geoffrey Moore: Businesses of a complex systems type target hundreds or perhaps thousands of customers—typically corporations or public sector entities—with the intent of solving expensive challenging problems with custom-tailored solutions. Volume operation businesses target millions or perhaps tens of millions of customers—typically consumers or end users—with the intent of solving routine problems with highly standardized solutions. Both of these models have enjoyed spectacular success in creating world-class enterprises with sustainable competitive advantage. That said, the methods of each are diametrically opposed to one another, such that a functional professional—say, in marketing, engineering, or operations with a background in one model—is virtually incompetent when asked to perform in the other model. There is a vast middle ground between these two extremes, but there is no third model to fill it. Thus the small business market is traditionally underserved because one either has to “cheat down” from a complex systems model or “cheat up” from a volume operations model, neither of which is really well suited to the problem. As a result, this vast middle is served by a fragmented set of vendors, typically local to a particular geography, who gets along fine at a small scale but which can't ever reach large scale. Eventually volume operation enterprises find a way to serve their clientele, and they lose out to the coming of a WalMart or a Microsoft. VB: Does a risk-reduction mentality explain why, although they innovated, General Motors' Chevrolet division, HP's personal computer division, and a considerable number of airlines and telco service providers' innovation programs were not designed to differentiate them in the marketplace? Or were these firms overtaken by better competitors? Geoffrey Moore: Risk-reduction mentality, in this context, describes a budget allocation philosophy that values diversification over concentration. Let’s not put all our eggs in one basket. The result is one egg per basket, which is enough to get your company into the race, but not enough to win it. So then there is a big squabble about whether one-and-a-half eggs would be sufficient. We say put the whole damn dozen in one basket and run like hell. VB: John Chambers, CEO of Cisco, invited you to write a book about management ideas based on your consulting experience, and study of leadership and management practices at Cisco. About how many hours did you devote to observing such practices and interviewing management and executives at Cisco? How did you come to be in such a privileged position, which contributed to the content in Dealing with Darwin? Geoffrey Moore: This was a unique opportunity by any standard. I had been giving talks on our ideas at Cisco for the better part of a decade, and John was taken by the way in which our models paralleled and tracked with Cisco’s competitive strengths. As a result, I had the privilege of sitting in on and occasionally participating in every substantive strategy review at Cisco for two straight years. This let me get to know the management team very well and to understand the dynamics of their sector in detail. It was a remarkable education to say the very least. VB: Did your research findings about Cisco help Cisco to better understand and lead its innovation strategies? What has been the reaction of Cisco's executive to the book? Geoffrey Moore: Yes and no. On the yes side, our findings helped create a vocabulary and a set of mental models that have become integral to the company’s transition from a competition-based to a collaboration-based culture. On the no side, Cisco executives are highly independent individuals who do not look to others for a lot of guidance. On balance, as in most successful companies, consultants are tolerated as long as they can provide a perspective that is appropriately informed and sufficiently contrarian to add unique value. The one advantage we have over active practitioners is that we get much more time to reflect, and our challenge is to convert those reflections into practical, actionable principles. VB: Did you develop your model of innovation as a result of studying Cisco or had you previously developed it? Geoffrey Moore: The model was based more on a synthesis of Silicon Valley overall than of any one company. We were seeing the computer industry come of age, and it was clear that the approach to innovation that created success during adolescence was insufficient to meeting the challenges of adulthood. VB: In your books Crossing the Chasm and Inside the Tornado, you talk about the Technology-adoption Life Cycle which, in turn, is the first phase of the Category-Maturity Life Cycle. Would you explain the use of the Life Cycle model for analyzing the market forces that affect businesses' competitive advantage strategy? Geoffrey Moore: As markets mature, different forms of innovation are rewarded at different points in the life cycle. What people value in the first few years of a category’s existence is very different from what they value later on from an established category. Innovation, to create a return, must focus on what the customer values. In high tech, this means at some point retreating from creating rafts and rafts of new features—something an engineering-driven sector finds hard to accept. VB: Many of the companies you feature in Dealing with Darwin are large with revenues in excess of one billion dollars. Do your findings and advice apply equally well to a smaller company? Geoffrey Moore: Dealing with Darwin is about the challenges of getting a return on innovation in an established enterprise. The problem is that the existing franchise, the one that created the large enterprise, secures its position by laying claim to the preponderance of resources. This puts next-generation innovations at a severe disadvantage, which is why tiny start-ups routinely outperform established companies in new categories. The larger the enterprise, the more difficult the challenge—hence the focus on the really big companies. VB: You describe 14 types of innovation. Would you agree that most authors who write about innovation focus on disruptive innovation, which you point out is riskiest but potentially the most profitable type of innovation? If so, does that suggest many do not fully understand the dynamics of innovation in enabling businesses to achieve competitive differentiation? Geoffrey Moore: This was Silicon Valley’s problem. It had optimized innovation for growth markets and had a weak understanding of how it should be applied in mature markets. In that context, it had idealized disruptive innovation as the only real innovation. In our view, innovation is real when it creates a return, and is unreal when it does not. In that context, disruptive innovation was actually becoming less real, but people had no way of calling this out. VB: Your model has four innovation types within product (and services) leadership, four within customer intimacy, four within operational excellence, and two within category renewal. You say, "The single most important act of strategy leadership is to select the innovation vector upon which your company will develop its sustainable competitive advantage—its core." Would you explain? Geoffrey Moore: If you imagine your competitive set as a circle in which you are included, then creating sustainable competitive advantage means finding a path that leads you out of the circle and keeps it at bay. We imagine that as a compass problem where you have to follow a given vector of innovation so far that you leave the competitive set behind. Remember, the standard is they either cannot or will not follow. That means you have to get pretty darn far away. The simplest way to do that, in our view, is to pick a specific vector of innovation and then amplify it beyond anything your competition would tolerate. VB: In the model the four innovation types for growth markets are product innovation, disruptive innovation, application innovation, and platform innovation. You advise if a business is innovating in a growth market it must focus on only one of these innovation types. Why this is so? Geoffrey Moore: Growth markets favor new customer acquisition over existing customer retention. This means you want to focus on the attributes of the thing being bought, with an emphasis on features, functions, and price or performance. The four innovation types for growth markets do that. By contrast, mature markets favor customer retention. Here the thing already has been bought, and its function is largely taken for granted. Customers now value the service relationship or the operational interactions more than the thing itself. In this context, innovation must shift its focus accordingly. VB: You say that "the bells, the whistles, the wow factors, the cool" have the biggest influence in mature markets, not in the first wave of product introduction—the early market. That appears to mean the wow factor is not a key requirement when a product is first introduced into the marketplace. Would you explain? Geoffrey Moore: We have to be careful here. This idea applies to the introduction of a new technology more than a new product. When technologies are immature, markets first want to see them properly tamed. Only after that has been made clear are the secondary phenomena valued. Google was a great example of stripping back to the bare essentials at the beginning, and only later layering back on the bells and whistles. VB: Would you talk about "core" and "context" in Darwinian systems, including free-market economies and how this relates to sustainable differentiation—the basis of economic success? Geoffrey Moore: In our parlance, core stands for the innovation strategy that differentiates you in the eyes of the customers—the things you do to set yourself apart from your competitors and lead customers to choose you. As a result, customers will pay you a higher margin than you could otherwise obtain. Core's the primary source of economic value in a company. Context stands for all other processes and investments. They are important to the success of the company—if you fail to fulfill a context task you could lose a customer, be in contravention of a law or regulation, or alienate a partner or an employee. But customers won't pay you anything extra for performing a context task above and beyond the call of duty like they will for a core task. Context, in other words, is what makes you a legitimate member of the competitive set. Core is what separates you from your peers. Herons and ducks share many attributes, both being aquatic birds, but they are highly differentiated in their bills, each designed to exploit a different ecological niche. VB: Are your key messages about dealing with Darwin even more relevant today, given the economic circumstances most companies are facing. Or do these unusual times call for even more drastic actions? Geoffrey Moore: Evolution, as Stephen Jay Gould famously observed, proceeds in a rhythm of punctuated equilibrium. For most of the time, things get along pretty much as they always used to. Then periodically all hell breaks loose, and every strategy for living is thrown up for grabs. Both dynamics are proper to evolution in business as well, and we seem to have just encountered the latter. VB: Would you explain the distinction between mission-critical and core? Geoffrey Moore: As said previously, core is that which creates sustainable competitive advantage by differentiating you from your competitive set. Whether or not things are core defines their reward profile. Whether or not things are mission-critical defines their risk profile. It's that which exposes your enterprise or your customers to unacceptable risk. Both core and mission-critical compete for scarce resources—often the very same scarce resources—so it's critical to distinguish between the two. You need to know if you are funding or staffing for competitive advantage or risk reduction. Both are important, but they are rarely the same. Think of a matrix with four quadrants. If something is mission-critical and core your company would likely want to do the activity, produce the product or service, yourself. If it is core but is supporting something such as HR management, you may choose to partner with another firm or firms to provide it. If it is an activity that is part of context you may choose to outsource it, and if is a supporting activity within context, you may choose to deliver it through a context with a third party. VB: For those leaders and their employees who may be feeling a bit discouraged about your advice that, "Darwinism has its day,” you provide the following sage advice, "If one hundred other companies can do this, so can you." Would you talk about how a company can ensure innovation is an ongoing, sustainable part of their business? Geoffrey Moore: Job one is to define core and to commit a highly disproportionate amount of your discretionary resources to amplifying it beyond the neutralization capabilities of your competitors. That involves a parallel companion commitment to extract resources from everything that is not core, things that are mission-critical even at the margin. Innovation for productivity is thus the necessary companion to innovation for differentiation. VB: You say companies that commit to resource recycling can have ongoing renewal of competitive advantage—the way they can innovate forever. Would you explain how that works? Geoffrey Moore: Resource recycling asks managers to view the workforce through the lens of innovation roles, of which we call out three—inventor, deployer, and optimizer. Optimizers innovate for productivity, with the goal of freeing up resources to be used in the deployment of next-generation innovations. Those innovations are created by inventors and are taken to market by deployers, who compete with other vendors for the scarce resource of customers. This lens implies that any given stream of offerings is handed off twice in its life cycle, the first time from the inventors to the deployers, and the second time from the deployers to the optimizers. Most organizations do not do this. They staple the work force to the offer and ask everyone on the team to be first inventors, then deployers, and then optimizers. This goes against much in human nature, and typically results in a company that gets stuck on Main Street with no ability to onboard the next generation of innovations. VB: You talk about the dot-com boom and the dot-bomb bust. How did so many become embroiled in this boom and bust, and why wasn't the bust predicted earlier? Are we destined to continue to repeat such fiascos, the latest being the global financial crisis—seemingly also due to greed, blind optimism, and a lack of understanding of the fundamental role of innovation in competitive differentiation? Geoffrey Moore: Human beings tend to go with the herd. Herds move in straight lines until their progress is completely and totally blocked—then they panic. Booms and busts are an inevitable consequence of this dynamic, and thus are totally predictable in concept. The problem is, they are not predictable in time. We think it is best, therefore, to treat this as an environmental condition and to react to it swiftly, as opposed to trying to vaccinate oneself against it. As many have observed, the best time to win competitive advantage is in a downturn because competition is at its weakest and most distracted. VB: As we discussed earlier, you have identified 14 types of innovation. Is it possible with further study that there are other forms of innovation yet to be documented and written about? Geoffrey Moore: Yes, 14 is an arbitrary number, something like the number of points on a compass or a clock dial. The point is to retain a focus on return on innovation. Any vector or path that takes you outside the circle of your competitive set is a valid candidate for another innovation type. VB: You say automobile manufacturing may be the single most complex volume-operations business there is. The big three North American automobile manufacturers face stiff competition from companies such as Toyota, which seems to have perfected process innovation in this industry. Notwithstanding their recent bailout by the USA and Canadian governments, is it possible for the big three to survive given their approach to innovation? Geoffrey Moore: The life-threatening challenges that these companies face are far more cultural than they are strategic. There is such a deep-seated legacy of entitlement. It's hard to see how any of them can break free from it. And absent such a change, it is hard to see how any of them can succeed for the long term. VB: You are a strong advocate of outsourcing in order to free up resources for core activities. Are there times when the disruption of such an initiative may not be worth the benefits of freeing up resources to re-allocate to core activities? Geoffrey Moore: Yes, outsourcing has to be a willing shedding of responsibility, and it has to have a responsible partner at the other end. In the absence of either condition, it is probably best not to undertake it. One of the keys here is to create new work opportunities for the in-house workforce that are more attractive than the jobs that are being shed. If that is not possible, then adversarial relationships are inevitable, and the long-term health of the enterprise is put in grave jeopardy. VB: You refer to shared services being a model to provide administrative services. Are you aware of any existing shared services organization that is especially successful in freeing up resources for their customers while also significantly improving service levels? Geoffrey Moore: I think the whole industry around managed hosting of computer services is a good example. Outsourcing of customer service to call centers often gets a bad rap, but I think few people realize how much service is actually delivered in this way, and what high degree of customer satisfaction is achieved. VB: How long did it take you to write Dealing with Darwin from the time you first started your research to the first draft, and final signoff of the manuscript? You may also wish to comment further about how your first draft led to going back to the drawing board. Geoffrey Moore: Dealing with Darwin started as an article in the Harvard Business Review called “Darwin and the Demon.” That represented the observation that we all needed to rethink our mental model of innovation. The idea of wrapping that around a case study of Cisco was prompted by John Chambers’ invitation to write about his company. The book took about a year to write, all told. The first draft had a raft of stuff about Darwinism as a business framework which, I discovered, was more interesting to me than to my target readers—hence the return to the drawing board. VB: Can we look forward to another book? Geoffrey Moore: Business books at a time like this are too likely to be obsolete upon drafting, hence most of my business writing at present is going into a blog. VB: In a number of places in the book you use nautical and sailors' terms. Are you a sailor? Geoffrey Moore: No, not a sailor, merely an accomplished thief of metaphors. VB: You are a Managing Director at TCG Advisors. What does TCG stand for and what services do you provide? Do you use the concepts of core and context in ensuring your firm continues to have competitive advantage? Geoffrey Moore: TCG stands for The Chasm Group. In 2001, some of us wanted to refocus our efforts on the challenges of innovating in larger enterprises, and others of us wanted to stay closer to working with innovative start-ups. Although the intellectual property could stretch across this divide, the business model could not. Hence we split into two independent groups. Core and context are central to the way we manage our firm, and we relentlessly strive to have the highest core-to-context ratio we can imagine. It's not just that we outsource all our information technology, finance, and human resources management. We construct all our projects to make sure that the bulk of our time is spent on core, not context tasks. Fortunately, whatever is context for us, is core for someone else, so this makes for great synergies with partners and client teams. VB: What is the Chasm Group and the Chasm Institute? Geoffrey Moore: The Chasm Group was the original firm, founded in 1994 when the only book we had was Inside the Tornado. The Chasm Institute spun off at the same time as TCG Advisors. Its focus is on training people in the marketing disciplines described in Crossing the Chasm and Inside the Tornado. VB: Are you finding that leaders and executives are increasingly receptive to your advice about the importance of innovation to achieve sustainable differentiation in the marketplace? Geoffrey Moore: Leaders and executives are relentless in their search for the next thing that will spur competitive performance in their companies. If our material serves, it gets a ready audience, but this is all about our clients' issues, not about us. VB: What are the one or two final pieces of advice you would offer leaders and employees of companies related to the "race"—the continual raising of the bar for competitiveness? Geoffrey Moore: Embrace the race. Darwinism is the inescapable condition of life on this planet. We have to hope it is good for us. The Darwinian race is the ongoing raising of the bar in free-market competition of scarce resources of customer revenue and investor capital. This forces us to evolve established competitive-advantage positions or else become commoditized—with no differentiation. We need to seek growth markets—new markets, new products, new processes, and new customers. Author Geoffrey Moore advises that the lowest-risk in any Darwinian competition is to commit to excelling at an innovation type so we leave behind all our competition. "Focusing on our chosen innovation type for this particular market category within this defined scope of time, we will so outperform our competitors that prospective customers and partners will cease to entertain them as legitimate alternatives?" 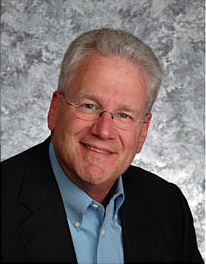 Geoffrey Moore is the managing partner of TCG Advisors and venture partner at Mohr Davidow Ventures. He is the founder of The Chasm Group. Earlier in his career, Geoffrey was a principal and partner at Regis McKenna, Inc., a leading high tech marketing strategy and communications company, and for the decade prior, a sales and marketing executive in the software industry. As managing partner of TCG Advisors he is a business consultant to large companies facing formidable strategic challenges, providing consulting services to senior executives on strategy and transformation challenges and developing mental models to support the practice. He is highly regarded as a dynamic public speaker. Geoffrey Moore has written Dealing with Darwin: How Great Companies Innovate at Every Phase of Their Evolution, Crossing the Chasm: Marketing and Selling High-Tech Products to Mainstream Customers, Inside the Tornado: Marketing Strategies from Silicon Valley's Cutting Edge, Gorilla Game, Reviesed Edition, and The Gorilla Game: Picking Winners in High Technology, and Living on the Fault Line, Revised Edition: Managing for Shareholder Value in Any Economy. Geoffrey Moore, who lives in Los Altos Hills, California, holds a bachelor's degree in literature from Stanford University and a doctorate in literature from the University of Washington.